When most people think of SEO and SEO tools they immediately think about optimising their content for Google, however, that can actually be harmful to your efforts. The best advice I ever received was to take a more agnostic approach when optimising my site for SEO. This way you don’t get too focused on one search engine and miss potential traffic from others. Below I’ve gone through to find the best SEO tools available to you for getting more traffic to your site or blog. 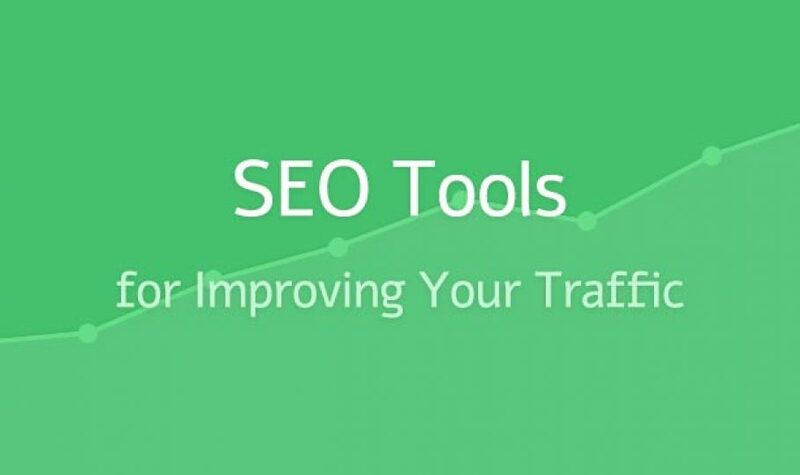 I’d love to know in the comments what sort of tools and products you’re using to boost organic traffic. The first step in your SEO optimisation process is finding and using the right keywords. With Google Trends you can do just that. One of the most important SEO tools here is Google Trends Explorer because it lets you type in your own keywords to see the popularity of them over time. Ahrefs is one of the most invaluable SEO tools for backlink optimisation. It allows you to check backlinks, the best pages of a domain and crawl reports, which lets you see your site through the eyes of a search engine spider. There are more features you’ll want to get your hands on as well like batch analysis and backlink reports with filters. For anyone looking to capitalise on the SEO traffic you get from running a blog, this plugin by Yoast is an essential tool. The Yoast team also put together a definitive guide that covers every area of optimising WordPress for search engines. You’ve likely come across Moz before or at the very least heard of them. They’re the only “SEO company” to have stuck around for more than a few years. A few of Moz’s flagship products like Moz Analytics and Fresh Web Explorer allow you to measure and improve your organic traffic and research or compare mentions and links. Dead links on your site show Google something very important, that your site is dead…or to be more specific no longer regularly maintained. If there are dead links on your site it can be a really bad sign in the eyes of all the major search engines, which is why I highly recommend using the Check My Links extension for Google Chrome. Once installed just go any page of your site and click the “Check My Links” icon in the top right of your browser. The extension will then run through the page your on and let you know if any of your links are getting 404 errors. You’ve probably noticed a lot of links to Google products or services in this article, well the reason is simple: Google is the king of SEO, so it’s only natural they’d have the best SEO tools. The best of all Google’s SEO arsenal is Webmaster tools. It essentially allows you submit your site to Google for indexing. It also allows you to check the microdata on your site, check if search spiders can crawl your content, see what search queries people are using to find your site and so much more. It used to be a tool for optimising images for SEO but now it’s a truly invaluable resource for anyone looking to optimise their site for search traffic. With SEO Tool, you can find out your Google page rank. How pagespeed is affecting your site, social media status and how well your site is doing for backlinks. Everybody goes on about Google constantly tweaking their search algorithm but how do you personally find out what’s going on? Well luckily for you there’s a tool called MozCast which gives you a daily “weather” report of how Google’s ranking algorithm has changed compared to the previous day. Having to manage the vast amount of social media accounts that are available is hard enough, not to mention all the different stats you have to check. ShareCount is a simple but powerful tool for checking how well your content is performing across all the major social media sites like Twitter, Facebook, LinkedIn and so on. On first glance FollowerWonk looks pretty confusing but once you understand the power it has to boost your social media presence you’ll be using it all the time. The thing it does best is give you tools to find the top people you should be contacting for content outreach. There are more than ten handfuls of SEO tools you can use, but the best way to jump up the SERP is to put in the hard work. No matter how many SEO tools you try, they won’t replace the hard work of contacting other blogs for backlinks and consistently being a strong social media presence. Google Webmaster Tools for getting your site indexed by Google. WordPress SEO by Yoast for optimising your WordPress site for SEO. Ahrefs for checking your site’s backlinks. I’d love to know, what tools are you using? Leave me a comment below!